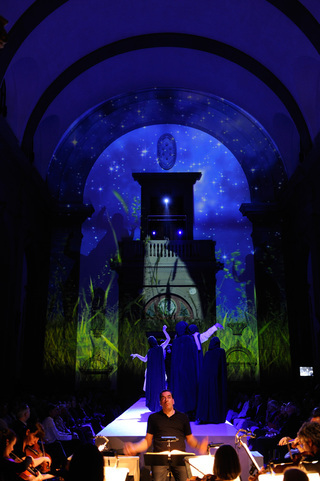 For the third time I was commissioned to create a videomapping stage design for an opera production by Tocc Concept in the National Sculpture Museum in Berlin. 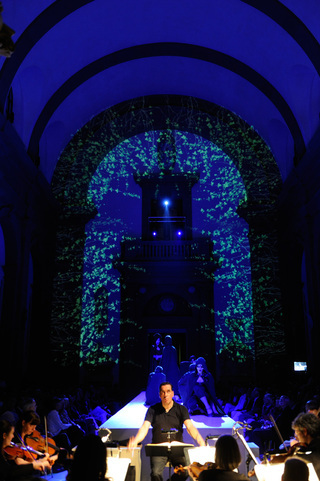 This time director Christoph Hagel staged Mozart's classic play "Le Nozze de Figaro". 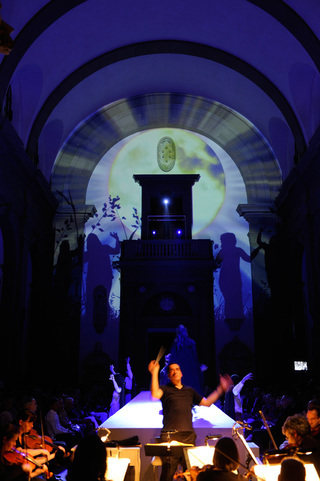 The video illustrates the final scene "in the nightly garden". 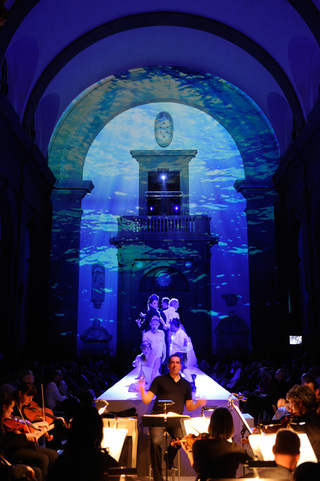 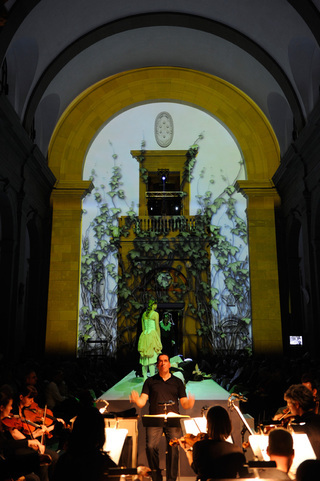 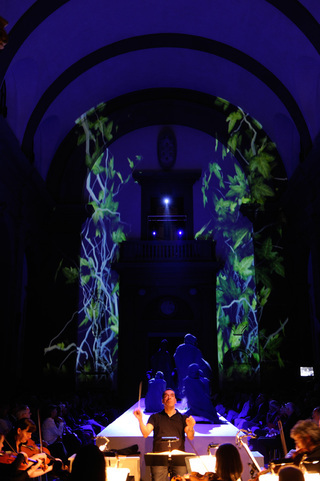 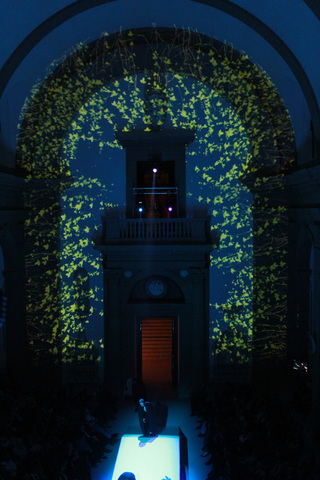 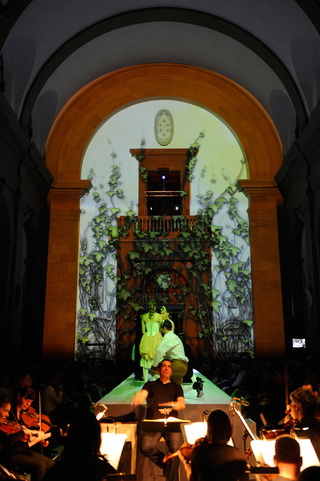 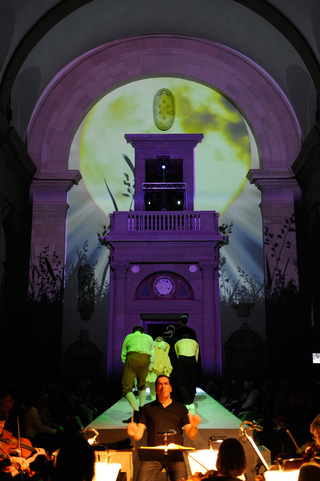 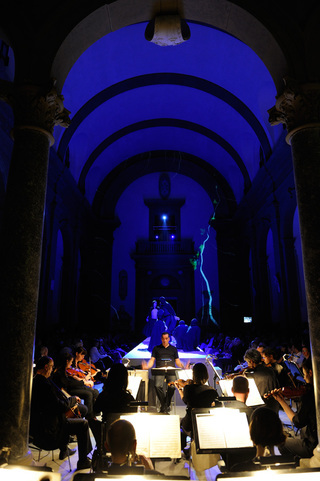 Two video projections with soft edge blending were used to fill the vertical portal of the museum's Basilika.